Photo 1: An aerial view of Shenzhen, Guangdong province. 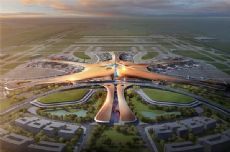 Photo 3: The design photo of Beijing New airport. For Chinese, the coastal city of Shenzhen is nothing short of a miracle. It was just a small and poor fishing village until 1980, when the central government hand-picked it as China's first special economic zone and offered advantageous economic policies to it. In only three decades, the village evolved into a modern metropolis with a rocketing economy and unceasing innovation. Now those Chinese cities dreaming to copy Shenzhen's success by obtaining accelerators from national strategies are finding a good opportunity in the country's new urbanization blueprint. During this year's two sessions, which concluded last week, many national lawmakers and political advisers advocated for cities in their constituencies to be built into one of the so-called national central cities. The term was first coined by the Ministry of Housing and Urban-Rural Development (MOHURD) in 2005 as part of a plan to steer the country's urbanization process. A national central city refers to a city designed to serve functions such as leadership and influence, as well as centralization and distribution in terms of politics, economy and culture. These cities' interest in the title was no secret. For example, the mayor of Qingdao, Shandong province, reportedly suggested the province "create more conditions to support Qingdao in building a national central city". On the other hand, the mayor of Jinan, the capital city of Shandong, called on provincial support for the city to apply for the title, after Zhengzhou, capital city of Henan province, successfully secured one. As local officials trying to muster more effort for the competition, China Economic Weekly, a magazine owned by People's Daily, revealed that the total number of national central cities is likely to be fixed at 12. In the National Urban System Plan composed by the MOHURD in 2010, the government vowed to build 10 global and national central cities, 100 cities with characteristics and 1,000 small and medium-sized cities, as well as 10,000 counties with characteristics. According to an expert who has participated in the compiling work, the number in the plan was just hypothetical, not the final decision, China Economic Weekly reported. "The selection of national central cities is not based on numbers, but the functions of cities," the expert said. According to the report, the revised National Urban System Plan has been completed and submitted to the MOHURD. The expert said the number is likely to be 12 with Beijing and Shanghai as both global cities and national central cities and another 10 as national central cities. Moreover, Hong Kong will also be functioning as a global city but not included in the plan due to the "One Country, Two Systems" policy. At present, a total of eight cities have made it to the list, namely Beijing, Tianjin, Shanghai, Guangzhou in Guangdong province, Chongqing, Chengdu in Sichuan province, Wuhan in Hubei province and Zhengzhou in Henan province. The competition is boosted by the huge benefits the strategy brings. To be recognized as a national central city means that the city's potential, advantages and prospects for future development are identified by the country, which guarantees them a first-mover advantage to their peers outside the list. Moreover, national central cities will have a better chance in wining over functional projects, such as airport economic areas and Free Trade Zones. The report said the final list will not be determined by numbers or the applications by cities. There is a series of indicators to assess the candidates comprehensively such as economy, innovation, internationalization and transportation. Some specific indexes, such as the number of Fortune Global 500 and FTZs, as well as exhibition centers, will be considered. So who are the most promising candidates for the remaining places? In the National Plan on New Urbanization (2014- 2020) published in 2014, China is expected to build seven city clusters nationwide. Ideally, within each cluster, cities will be complementary to each other, which will fuel the development of big cities and bring opportunities to small cities and counties. The confirmed national central cities are all in the city clusters and play significant roles in the region. Judging geographically, it looks like cities from China's Northeast and Northwest are missing from the list, which makes Shenyang in Liaoning province and Xi'an in Shaanxi province promising contenders, backed by their vast area, strong industrial basis and great regional influence. However, there also are experts betting on Hangzhou in Zhejiang province and Nanjing in Jiangsu province. Qingdao in Shandong province also stands a good chance since the province has a population of nearly 100 million.